Description: Your search is over!! Welcome to Georgie Award Winning Palette on the Park @ 12711 64th Ave in West Newton Surrey. 131 townhome units built in 2004. Perfect starter home with 2 bedrooms & 2 bathrooms located inside the quiet complex. Open layout with many updates including gleaming laminate floors and fresh paint. Very functional living room & dining room. 2 large bedrooms upstairs with space to spare. 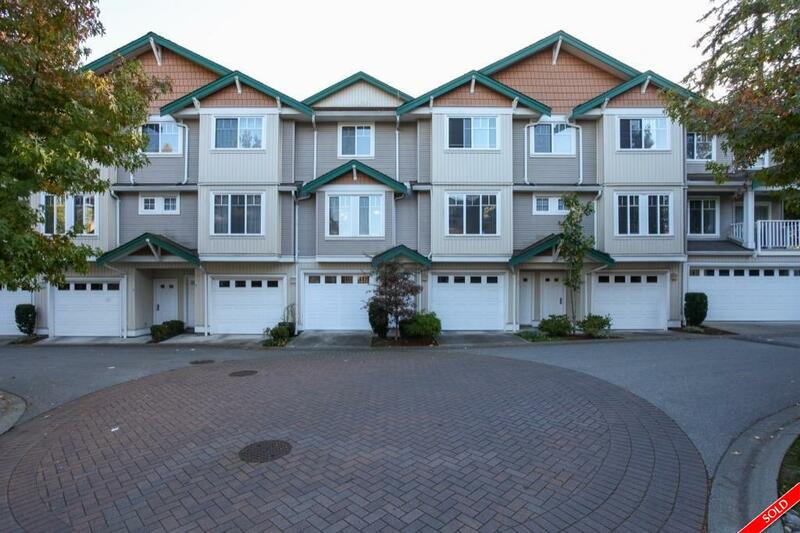 This home has double tandem garage with lots of extra space for storage, balcony and private fenced yard for BBQ's. 80 person clubhouse for parties with a gym below. Close to elementary school, recreation and shopping nearby. Easy access to highways and bridges.